Here are some example QuickTime animations that I have made using the technique described in a recent MacUser tutorial. They show a number of the techniques shown - see if you can spot them. 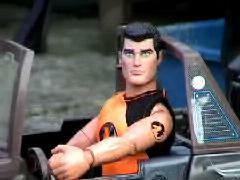 Remember - you can animate just about anything. 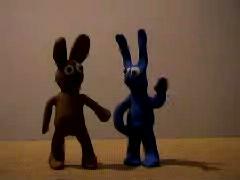 Here I have made some animations using ActionMan and some plasticine rabbits. To view one of these movies, simply click on the picture. A small window will open and the movie will play. Click on the picture to see the movie.